Adapted from Chapter 26: From The Book Turning Mountains into Molehills by Warren W. Wiersbe, Grand Rapids: Baker, 1992. This poem was written by a man planning to commit suicide. To whom can I speak today? The violent man has access to everybody. The earth is full of criminals. The interesting thing is this: the poem was not written by a frustrated twentieth century businessman. It is written by an Egyptian citizen over four thousand years ago. Violence and crime and corruption and thoughts of suicide are not modern problems, are they? They are ancient problems—and they have an ancient solution. It takes little imagination to understand the mind of our anonymous Egyptian poet. He saw crime and violence all around him. The old values were changing. The good man was hanging on the scaffold and the evil man was sitting on the throne. There seemed to be no justice, no hope, no future. After pondering the situation, he decided that there was only one way out—to commit suicide. Of course, suicide did not solve any problems. It never does. But here was a man who had absolutely no resources to depend on, no one to turn to in this hour of need. “To whom can I speak today?” he asks, and never does get an answer. It’s the picture of a lonely, helpless man at the crossroads of life, with no one to help him. I’m sure that this picture can be multiplied many times today. All around us are frustrated people who simply don’t know what to do. Their world is collapsing around them. Everything they used to depend on has been destroyed; their foundations are gone. They don’t know where to turn, and perhaps they may be entertaining thoughts of ending it all. It might interest you to know that some of the greatest men in the Bible had their hours of disappointment and defeat, and some of them asked God to take their lives. I’m not saying they were right; but I’m saying they went through experiences that were terribly disillusioning, and yet they came out victoriously. Moses was discouraged because he was carrying a heavy burden and the people did not appreciate his leadership. Where would the nation of Israel have been without the leadership of Moses? How often it is that those who do the most for us, are the least appreciated. When Moses heard the people weeping and complaining, his heart sank within him. 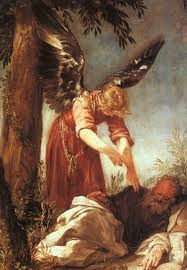 Elijah was discouraged because he felt he was a failure. He had met the false prophets face to face and had defeated them; yet the people had not rallied to Elijah’s side in the great revival that he had longed to see. When Queen Jezebel threatened to kill him, Elijah fled for his life. And then he asked God to kill him! If Elijah had really wanted to die, he should have surrendered to Jezebel. How often we say and do foolish things simply because we are discouraged. Suppose God would have answered the prayers of these men and taken their lives? Think of all they would have missed. Moses would have missed seeing God’s wonders in the wilderness. He would have missed that great farewell at Jordan, recorded in the Book of Deuteronomy. He would have missed commissioning Joshua to take his place. And he would have missed seeing the beautiful land of Promise. Elijah would have missed his fellowship with young Elisha; he would have missed the joy of training the new prophet to take his place. And he would have missed a glorious chariot ride into heaven! Yes, it’s a good thing God does not answer our prayers when we are discouraged and defeated. If He did, we would miss out on so many blessings. Our Egyptian poet had no one to speak to. “To whom can I speak today?” was his question. But Moses and Elijah had someone to speak to: they took their disappointments to the Lord. We may not agree with their prayers, but we do agree with their praying. That’s the first secret of victory over discouragement: take it to the Lord in prayer. Open your heart; tell Him just the way you feel. The psalmist David puts it this way in Psalm 142: “I cried unto the Lord with my voice…I pouted out my complaint before Him; I showed before Him my trouble. When my spirit was overwhelmed within me, then You knew my path…Attend to my cry, for I am brought very low. Bring my soul out of prison, that I may praise Your name. When life seems the darkest, then God’s dawn is about to break. He sees the end from the beginning, and He has a perfect plan for your life. “For I know the plans I have for you declares the Lord, plans for welfare and not calamity, to give you a future and a hope” (Jeremiah 29:11). Disappointment is often “His appointment.” And God permits these difficulties to come our way, not to discourage us, but to encourage us to look away from changing circumstances to the unchanging God who is on the throne. Even the great apostle Paul had his days of discouragement when it seemed he would have to give up. This is what he writes: “For we do not want you to be unaware, brothers and sisters, regarding the affliction that happened to us in the province of Asia, that we were burdened excessively, beyond our strength, so that we despaired even of living. Indeed we felt as if the sentence of death had been passed against us,so that we would not trust in ourselves but in God who raises the dead. He delivered us from so great a risk of death, and he will deliver us. We have set our hope on him that he will deliver us yet again,” (2 Corinthians 1:8-10). The answer to discouragement is not to run away, but to run to God. “God is our refuge and strength, a very present help in trouble” (Ps. 46:1). That word trouble means “tight places” –“a very present help in tight places.” Moses prayed, and God met his need; Elijah prayed, and God met his need. And if you and I pray , God will meet our needs as well. Now, when we pray, God does not always change the circumstances around us. But he does put new strength and hope within us so that we can face the circumstances courageously and keep on going. It has often been said that what life does to us depends on what life finds in us. If we are filled with doubt and despair, then life will crush us. If we are filled with faith and with God’s power, then life can never overcome us. Instead of being victims, we will be victors; for, “If God be for us, who can be against us?” (Rom. 8:31). When you are discouraged follow the counsel from God’s Word. First, don’t do anything drastic. Never, never make an important decision when you are going through a black night of despair. Third, wait on the Lord. He has His purposes and He has His times. To run ahead of Him would mean to miss the wonderful things He has planned for you. Finally, rest on His promises. Spend much time with your Bible, and claim the promises of the Word. When the night is the darkest we see the stars the clearest; and when life is dark, the promises of God shine like stars. If you are one of God’s children, and if you are seeking to do His will, you can be sure that, in spite of circumstances, “all things are working together for good” (Romans 8:28). One day soon the lights will dawn, the shadows will flee away, and you will understand why God permitted you to suffer as you did. But until that day, “Commit your way to the Lord, trust in Him, and He will make your paths straight” (Ps. 37:5). *Warren W. Wiersbe is the Distinguished Professor of Preaching at Grand Rapids Baptist Seminary, and is the author of more than 100 books. Billy Graham calls him “one of the greatest Bible expositors of our generation.” Interestingly, Warren’s earliest works had nothing to do with scriptural interpretation. His interest was in magic, and his first published title was Action with Cards (1944). “It was sort of imbecilic for a fifteen-year-old amateur magician to have the audacity to write a book and send it to one of the nation’s leading magic houses,” Warren says. But having a total of three books published by the L.L. Ireland Magic Company—before the age of 20—gave him a surge of confidence. In later years, he applied his confidence and writing talent to the Youth for Christ (YFC) ministry. Warren wrote many articles and guidebooks for YFC over a three-year period, but not all his manuscripts were seen by the public eye. One effort in particular, The Life I Now Live, based on Galatians 2:20, was never published. 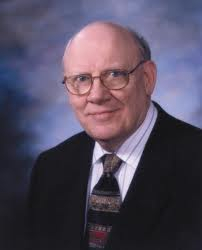 The reason, Warren explains with his characteristic humor, is simple: it was “a terrible book…Whenever I want to aggravate my wife, all I have to say is, ‘I think I’ll get out that Galatians 2:20 manuscript and work on it.’” Fortunately, Warren’s good manuscripts far outnumbered the “terrible” ones, and he was eventually hired by Moody Press to write three books. The much-sought-after author then moved on to writing books for Calvary Baptist Church. It was during his ten years at Calvary that Expository Outlines on the New Testament and Expository Outlines on the Old Testament took shape. These two works later became the foundation of Warren’s widely popular Bible studies known as the Be series, featuring such titles as Be Loyal (a study on Matthew) and Be Delivered (a study on Exodus). Several of these books have been translated into Spanish. His next avenue of ministry was Chicago’s Moody Memorial Church, where he served for seven years. He wrote nearly 20 books at Moody before moving to Lincoln, Nebraska, where he and his wife, Betty, now live. Prior to relocating, he had been the senior pastor of Moody Church, a teacher at Trinity Evangelical Divinity School, and a producer of the Back to the Bible radio program. Wiersbe’s recent books include Your Next Miracle, The 20 Essential Qualities of a Child of God, The Bumps are What You Climb On, Classic Sermons on the Fruit of the Spirit, Classic Sermons on Jesus the Shepherd, Key Words of the Christian Life, Lonely People, A Gallery of Grace, Real Peace: Freedom and Conscience in the Christian Life, and On Being a Leader for God.